What’s your morning routine like? Are your mornings chaotic, rushed and hectic? Or do you start your days feeling rested, calm and fueled for productivity? Did you know that your answer to that question can have a huge impact on your health and weight loss success (or lack thereof)? If you’ve been on a healthy path for a while, you’ve probably realized by now that there’s more to being healthy than just working out and eating clean. Truth be told, you can work out religiously and fuel your body with only nutritious foods and still not be at the pinnacle of health. 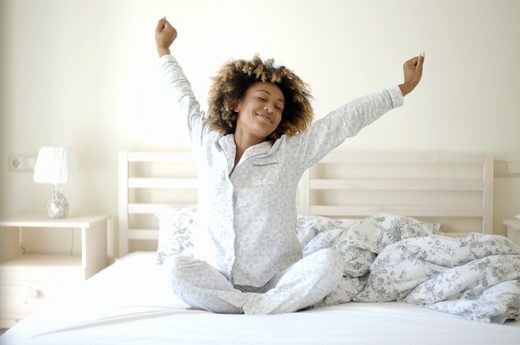 Here are 5 habits to incorporate into your morning routine that will positively impact your body’s ability to metabolize fat and be healthier and more productive all day long. Start your day with a huge glass of water – Unless you’re waking during the night to drink, chances are you’ll wake up in the morning in a state of dehydration. After going 6-9 hours with no water, your body needs to be rehydrated to wake your metabolism. It’s been proven that drinking water in the morning will help you burn more fat throughout the day through a process called water-induced thermogenesis. In fact, a study published in the Journal of Clinical Endocrinology and Metabolism showed that people who consumed 16-24 ounces of room temperature water upon waking boosted their metabolic rate by 30%. Feed your brain too – The morning is a great time to give your brain a healthy dose of positivity. Going into the day with a positive mindset will affect how you approach the tasks and obstacles that the day brings. Take a few minutes to read an inspirational passage from a book, listen to some uplifting music or a motivational podcast as you get ready. Feeding your brain this way can help you feel more energized and productive all day long. Wake up your muscles – Starting your day off with a workout is fantastic, but there are days when that’s simply not possible. Or it may be that your schedule doesn’t allow you to get to the gym until later in the day. In that case, taking just 4 minutes to get your muscles going can rev your metabolism enough to help you burn more calories all day. A tabata workout of 20 seconds of high intensity exercises with 10 seconds of rest for four minutes will stimulate your muscles and get your heart rate up. Make your first meal count – The first foods you put into your body each day are the most important and can set the stage for how you’ll eat all day long. After a prolonged period of fasting, your body will absorb the nutrients you put into it more quickly. Taking that into consideration, you want to avoid foods that are high in sugar and that will spike your insulin levels early in the day. A meal that includes a combination of protein and healthy fat is best – like eggs with avocado and tomato or Greek yogurt with berries. Know your mission – We all have goals and things that we want to accomplish. Some are big picture goals for our lives while others can be short term things we just need to get done. There’s a way to be sure that each day puts you closer to achieving these. First thing in the morning – or even the night before – take a minute to collect your thoughts and write down the key things you want to accomplish that day. You can even set up a “reward” for yourself when you’ve completed your tasks. Having a plan and knowing your mission for the day will help you stay focused and making forward progress.